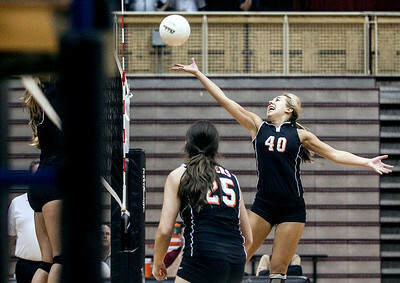 Sarah Nader - snader@shawmedia.com Crystal Lake Central's Maddy Cysewski hits the ball over during Tuesday's volleyball game against Prairie Ridge in Crystal Lake September 3, 2013. Crystal Lake Central won, 2-0. 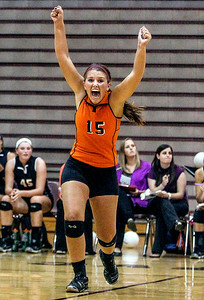 Sarah Nader - snader@shawmedia.com Crystal Lake Central's Annie Fox celebrates a point during Tuesday's volleyball game against Prairie Ridge in Crystal Lake September 3, 2013. Crystal Lake Central won, 2-0. 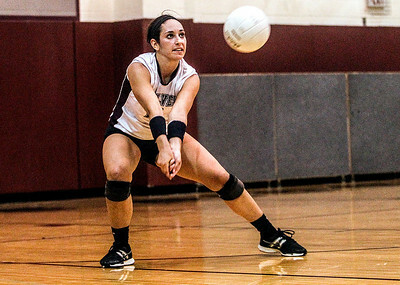 Sarah Nader - snader@shawmedia.com Crystal Lake Central's Susan Jeziorowski taps the ball over during Tuesday's volleyball game against Prairie Ridge in Crystal Lake September 3, 2013. Crystal Lake Central won, 2-0. Sarah Nader - snader@shawmedia.com Crystal Lake Central's Lauren Leverenz jumps to block the ball during Tuesday's volleyball game against Prairie Ridge in Crystal Lake September 3, 2013. Crystal Lake Central won, 2-0. 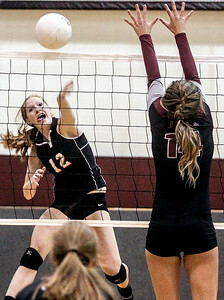 Sarah Nader - snader@shawmedia.com Prairie Ridge's Olivia Hanley returns the serve during Tuesday's volleyball game against Crystal Lake Central in Crystal Lake September 3, 2013. Crystal Lake Central won, 2-0. Sarah Nader - snader@shawmedia.com Crystal Lake Central's Sydney Nelson serves during Tuesday's volleyball game against Prairie Ridge in Crystal Lake September 3, 2013. Crystal Lake Central won, 2-0. 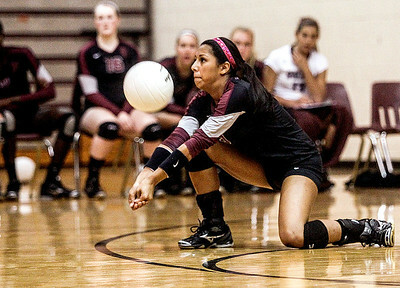 Sarah Nader - snader@shawmedia.com Prairie Ridge's Stone Salerno returns the ball during Tuesday's volleyball game against Crystal Lake Central in Crystal Lake September 3, 2013. Crystal Lake Central won, 2-0. 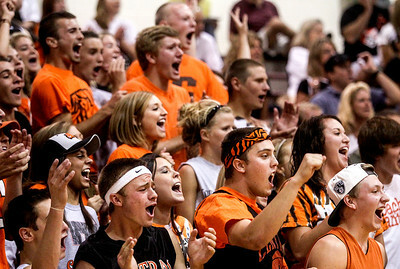 Sarah Nader - snader@shawmedia.com Crystal Lake Central fans cheer on the girls volleyball team during Tuesday's game against Prairie Ridge in Crystal Lake September. 3, 2013. Crystal Lake Central won, 2-0. 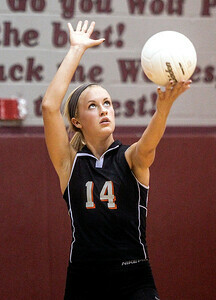 Crystal Lake Central's Sydney Nelson serves during Tuesday's volleyball game against Prairie Ridge in Crystal Lake September 3, 2013. 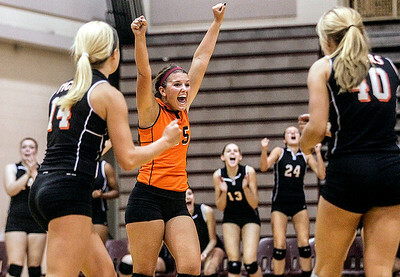 Crystal Lake Central won, 2-0.